At Seacole, we have grown far beyond our roots to provide you with solutions to the most complex problems. Driven by curiosity and passion, our team paves the way to superior performance. Seacole will tailor products to fit your needs with the flexibility to give you the most intimate and dependable attention you deserve. With our dynamic methodologies, we are constantly refining and redefining our products to meet you changing requirements. Seacole pushes past the boundaries of innovation by providing all of the necessary resources to address your toughest challenges. With our dependable, high-quality standards and an environmentally conscious approach, we’ll take care of you and help you take care of your customers. 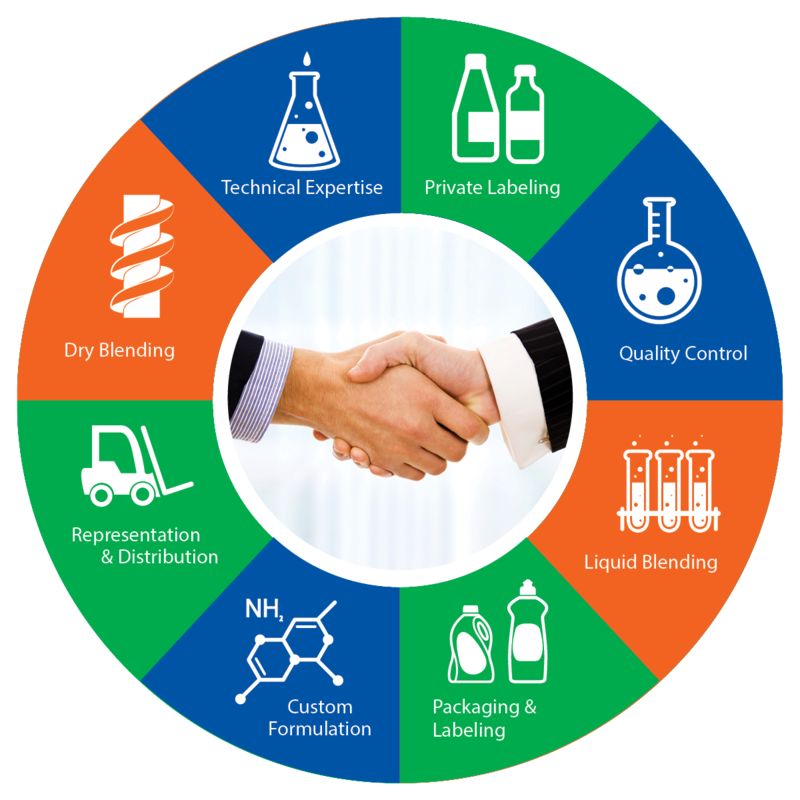 At Seacole, our mission is to be our customers’ go-to choice for the manufacturing and distribution of specialty chemistry products. We’re not in it for the short-term; rather, our focus will always be on the long-term, by providing superior quality and service that will make customers want to keep doing business with us. Customers choose Seacole for our in-depth technical expertise, ability to quickly adapt to new markets, wide range of product offerings, and our dedication to the environment and our community. To be green or environmentally friendly at the most basic level is to execute decisions, manage operations, and manufacture products with the purpose of minimizing the negative impact on people, nature, and the environment. At Seacole, we strive for purposeful design and formulation of chemistry to prevent, reduce, or eliminate the generation of hazardous products following the 12 Principles of Green Chemistry, endorsed by the American Chemical Society. We believe the green chemistry initiative is a motivating opportunity to engineer revolutionary formulations, while at the same time promote environmental stewardship. SeacoleERC, our Environmentally Responsible Chemistries, will carry the SeacoleERC logo with corresponding identifier symbols on our technical data sheets, labels, and product descriptions on our website. Look for these logos to ensure you are getting the best we have to offer our environment.